1. 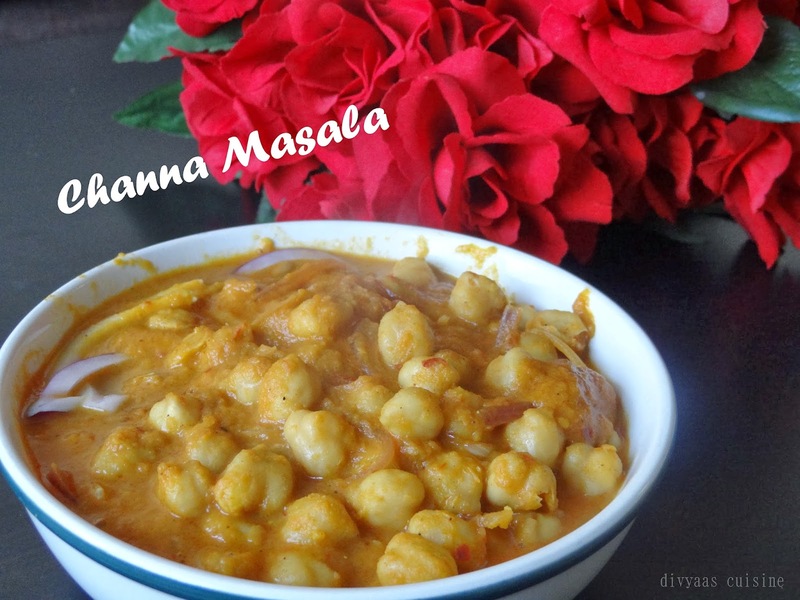 Pressure cook soaked channa with salt for 3 whistles. Allow it to cool naturally. 2. In a pan, heat oil and add cloves, cinnamon, cardamom (as pieces or in powder form). As nice flavor comes out add the onions cut in cubes, ginger garlic paste. Saute until it becomes soft and gives nice flavor. 3. Then add tomato, salt, turmeric powder and red chili, saute until it becomes mushy. Cool this gravy for some time and grind it into smooth paste. 4. Again heat the pan with oil, and add onion that are cut length wise. Saute them until it becomes soft. Then add the paste, cooked chickpea, coriander powder, cumin powder and one cup of water. 5. Close the lid and keep it in low flame for 3 min or gravy comes to desired consistency. It taste great with poori. 1. Cut the multilayered parotta into small pieces. 2. In a bowl, break and pour the eggs. Add salt and pepper, mix well. 3. Heat oil in a pan, pour the beaten egg and make it into scramble and set aside. 4. Again heat oil in the pan, add cinnamon, cloves, cardamom powder. 5. When nice aroma comes out, add onion and saute until it becomes soft. 6. Then add ginger garlic paste and saute for 1 min. 7. To this add turmeric powder, chili powder, coriander powder, cumin powder, salt and mix well. 8. Now add the tomatoes and saute until it turns mushy. 9. Egg scramble, cut parottas, chicken salna are added one by one and mixed well. 10. Mouth watering chicken egg kothu parotta are garnished with cilantro and ready to serve. In meanwhile, heat a pan with oil and add the ingredients given in "to roast and grind"
Pepper chicken tastes great with rice, chappathi, pulav. To the paniyaram batter, add salt, onion, green chili, curry leaf and ginger. Heat paniyaram pan. I used non-stick pan. Grease it with cooking oil. Pour a scoop of batter into the paniyaram pan pit. As the batter gets cooked it will become fluffy. So make sure that the batter does not overwhelm from the pits. Keep in medium flame. When paniyaram gets fluffy and cooked on one side, turn to other side and cook. Poke paniyaram with the fork or a toothpick. If its completely cooked, batter will not get to the fork or toothpick. Paniyaram goes great with coriander chutney, coconut chutney, spicy tomato chutney. Pour a scoop of batter in the pan and move in 8 directions to form a floral pattern. Close the lid and allow it to cook for 1 min in medium flame. 1. In a pan, add a tablespoon of butter. 2. When the butter melts and aroma comes out, add the marinated paneer cubes. 5. In the same pan, add butter. Add the soaked ingredients along with onion, green chilli, cilantro, curry leaf, asafetida, pepper, ginger, fenugreek seeds, salt in a mixie and grind them into a coarse batter. & Pressure cook pachapayaru with little salt. 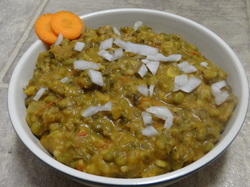 * In a pan heat oil and add the ingredients given in "to temper"
Ragi is rich in proteins and minerals. Ragi has numerous health benefits like weight loss, strengthen bones, reduce the risk of diabetics, bring down cholesterol, excellent source of iron etc. Ragi dosa can be prepared with urad dhal (Ragi dosa with urad dhal) and ragi roti is another exciting dish. 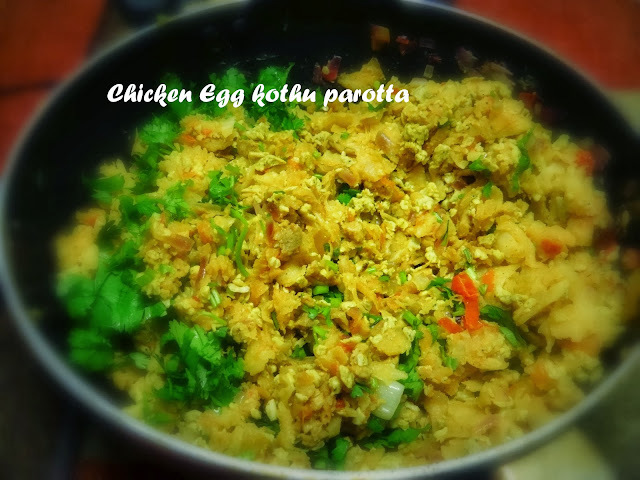 Rava Kichedi is a very tasty, yummy, easy breakfast or dinner recipe. It is very easy to prepare. I always like these puffs and now I make them in home. Crispy puffs looks yummy. Hot Crispy Puffs are always a perfect evening snack. Before preparing, keep the puff pastry sheet at room temperature for 30-45 min. Sprinkle all-purpose flour while separating puff pastry sheets into layers. Chicken Manchurian is a delicious starter or appetizer and its also perfect side for fried rice. Its loved by all. I prepared this chicken manchurian - dry as a lunch with egg fried rice and chicken manchurian gravy.... It is easy to prepare and a very tasty, attractive dish. 1. In a mixing bowl, add egg, pepper, ginger garlic paste, salt and whisk for a min. Add clean and cut chicken pieces to the mixture. 2. To this add corn flour and all-purpose flour. Mix them well so that no lumps are formed and allow it to marinate for 30 min. 3. Place a heavy bottomed kadai in the stove and add oil to fry the marinated chicken. Then deep fry the chicken pieces and keep aside. 4. In a pan, add oil. I used the same oil that i used for frying marinated chicken pieces. When the oil is heat, add chopped ginger and garlic. As nice aroma comes out add onion and saute for 5 min. 5. Then add hot and sweet tomato sauce, chilli sauce, soya sauce. Add pepper powder and salt to taste. When the gravy get thickened, add fried chicken and mix well. 6. Garnish with cilantro. "Dry chicken manchurian" is ready to serve. Grind soaked rice without adding water. It should be coarse like rava. Add coarse rice, ghee, jaggery water and 1/2 cup of water. Pressure cook for one whistle. Grease hand with oil or ghee and form balls like laddoo. Press them gently and firmly.